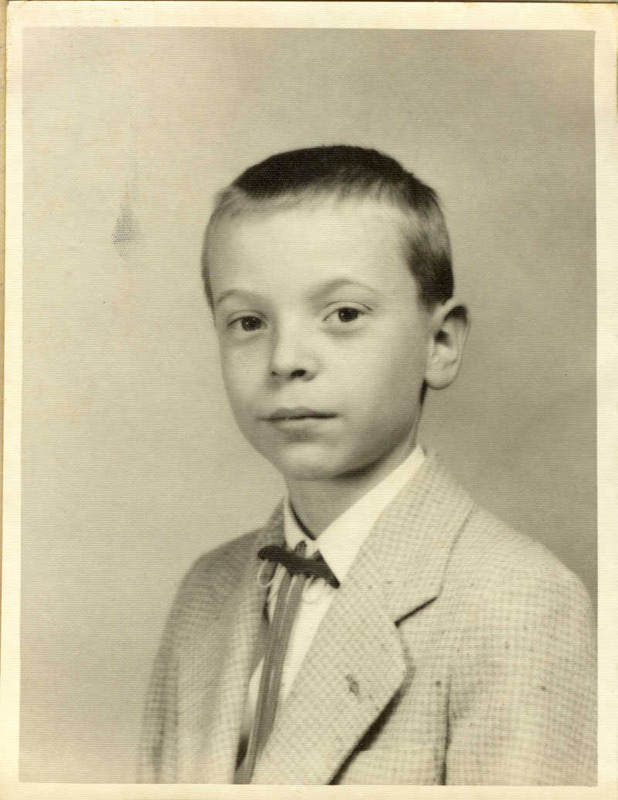 Here you will find old family photos. 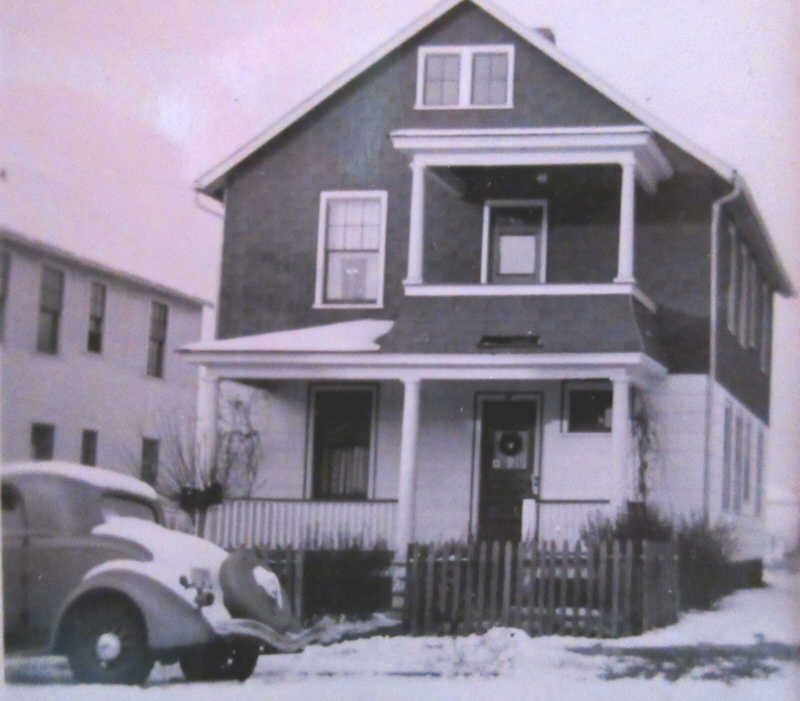 This is the house I grew up in for the first eight years. 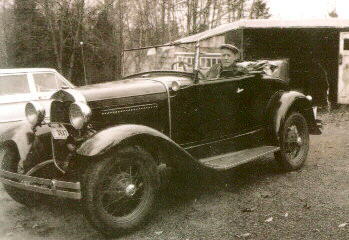 Wallace Row, Wallingford. 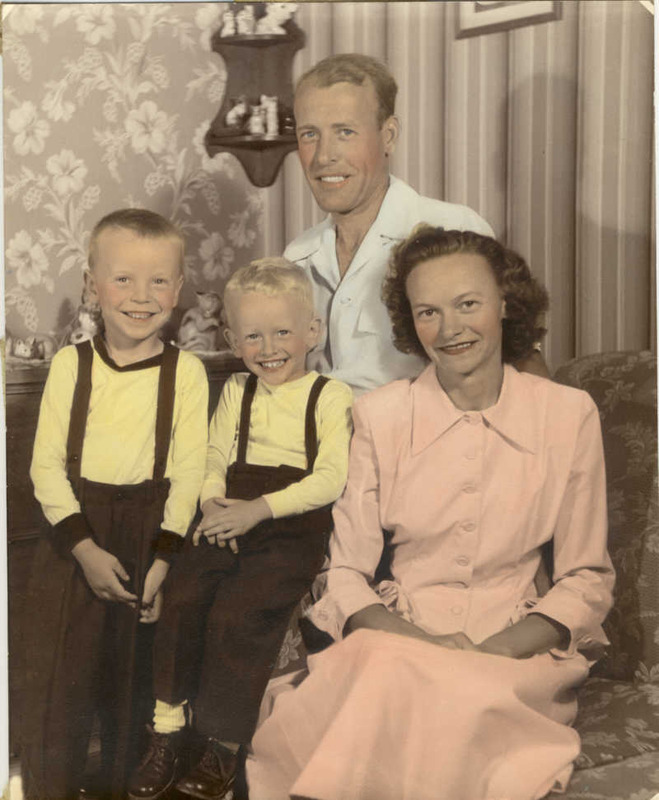 I am on the left, then my brother John, then my father and mother. 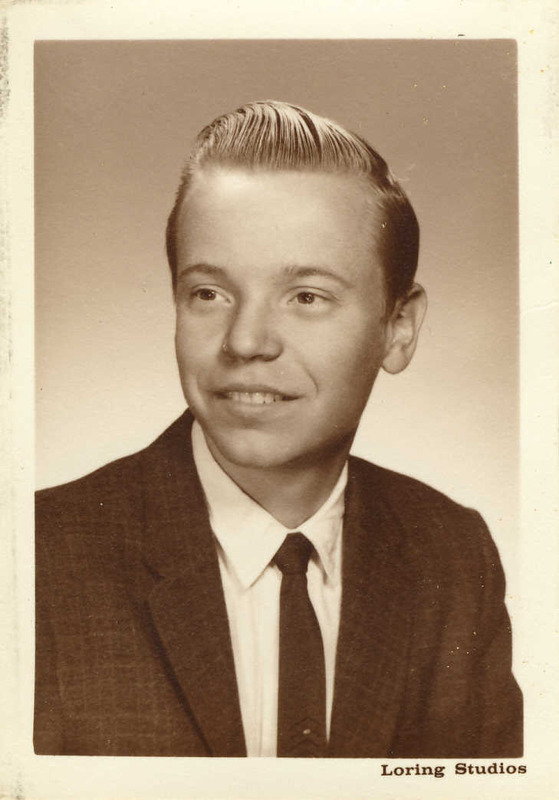 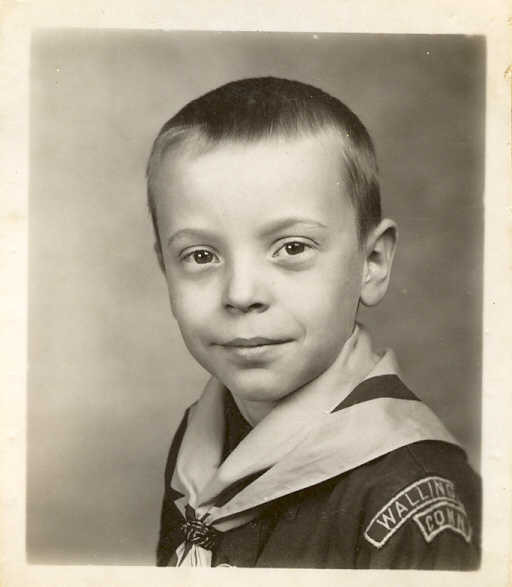 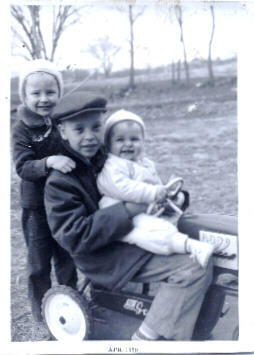 My brother John died shortly after this photo was taken. 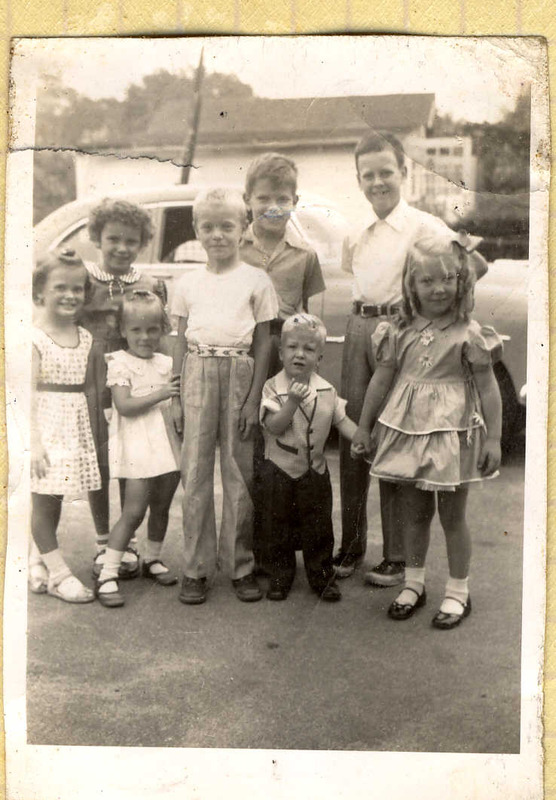 The Wallace Row kids:Jane, Regina, Marsha, Me, Joey, George, Ed, Patty. 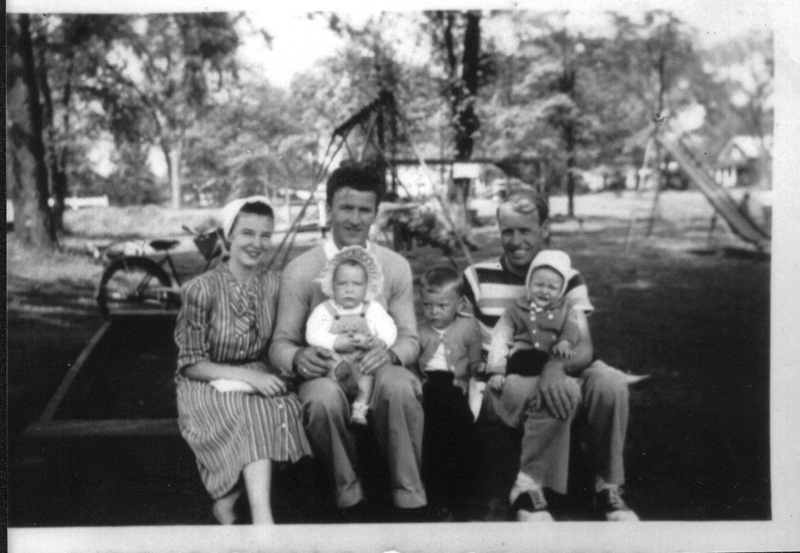 My aunt Edna, uncle Bill, Patty, me, My father, and brother John. 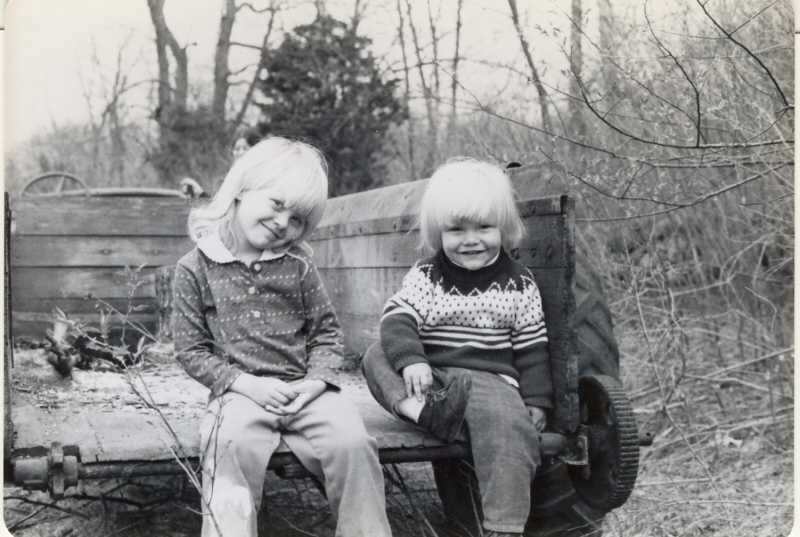 I am the only one in this photo still alive. 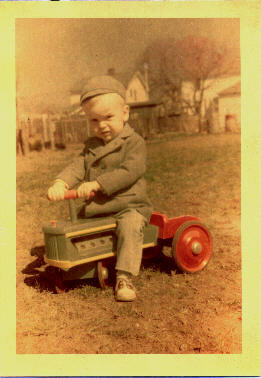 Me on my toy tractor. 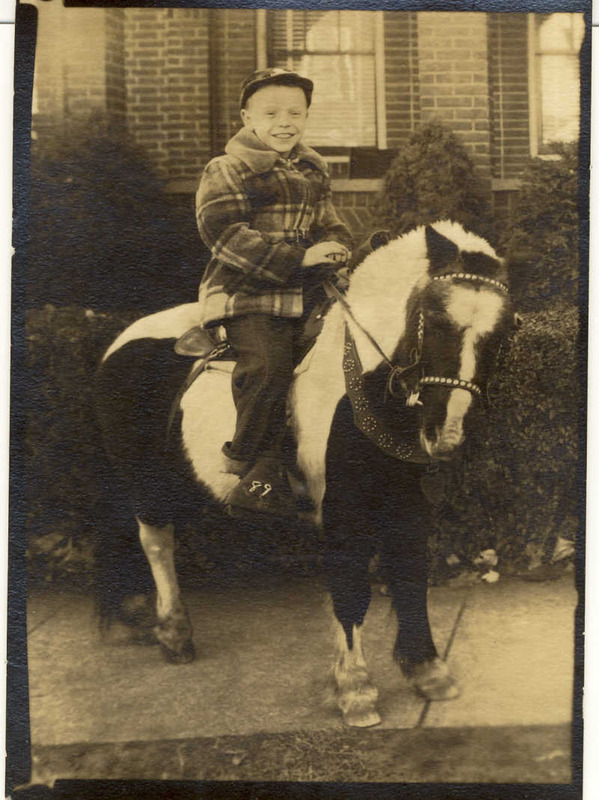 Me on a pony at Wallace Row 1953. 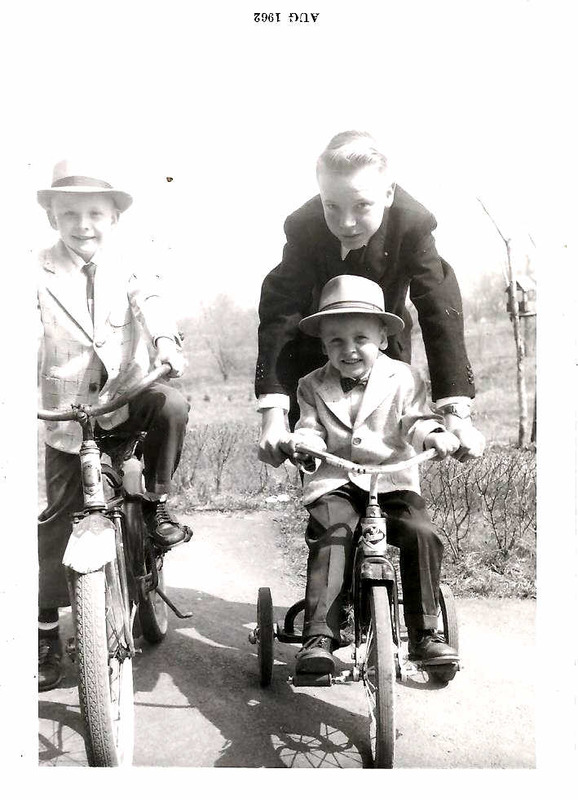 My brother Jonathan, me, and Mike, Easter sunday, 1962. 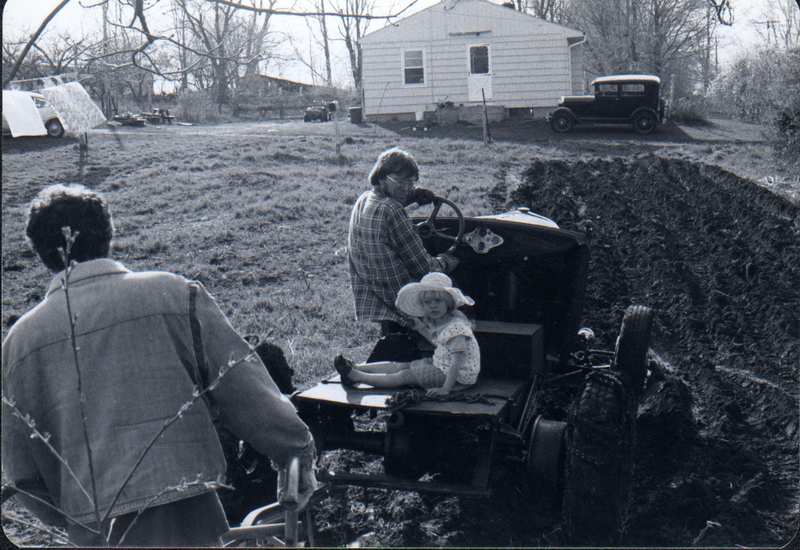 Me and Jane on the cover of Hoard's Dairyman 1959. 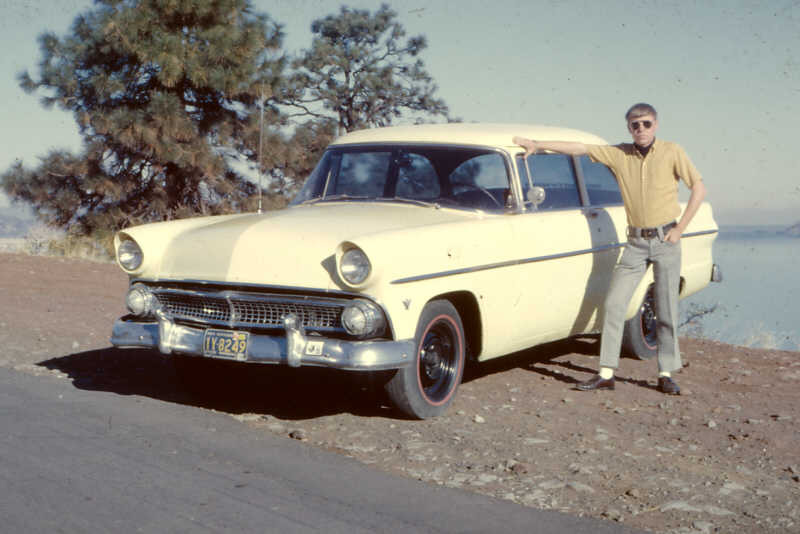 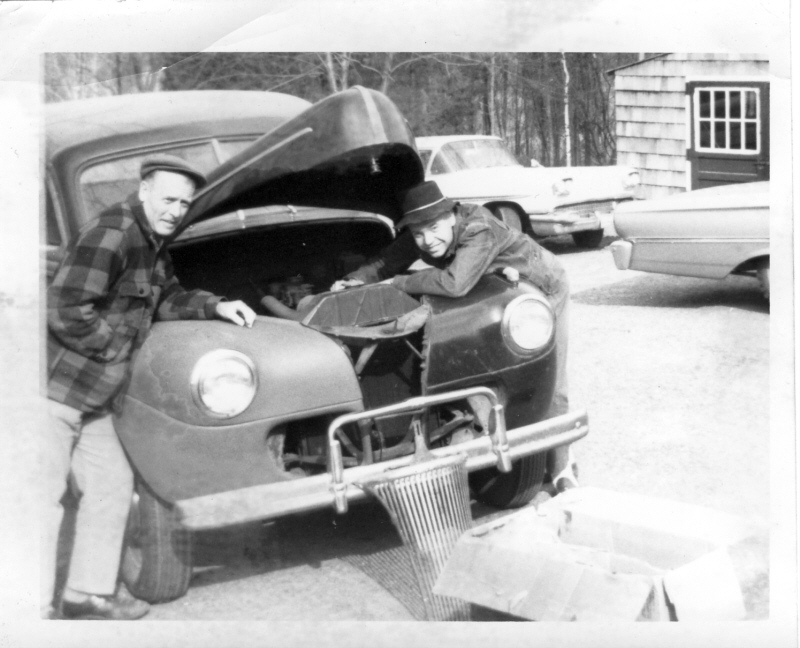 Me and cousin Ed, with Pop's model A ford, about 1964. 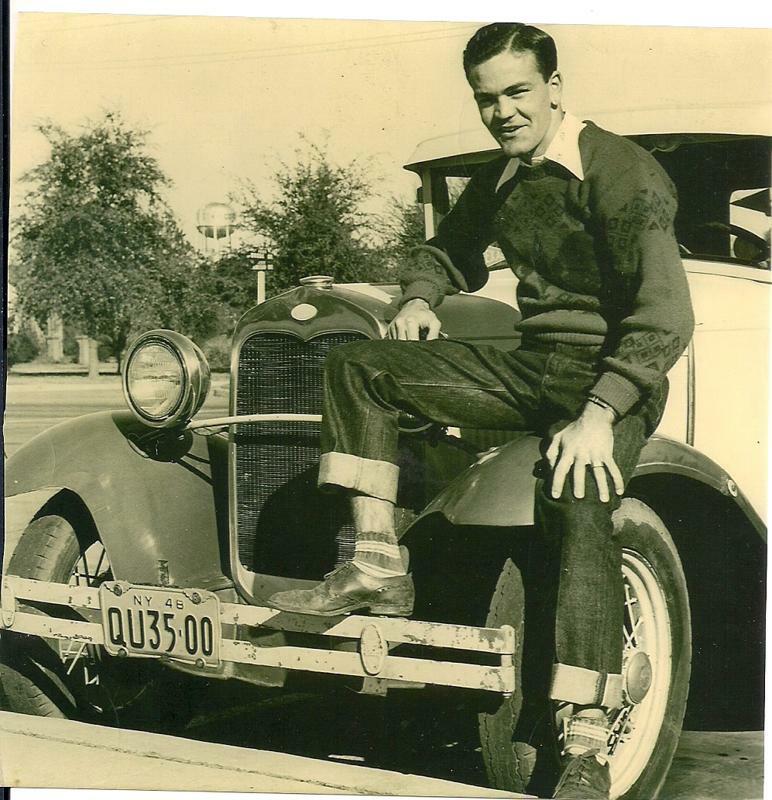 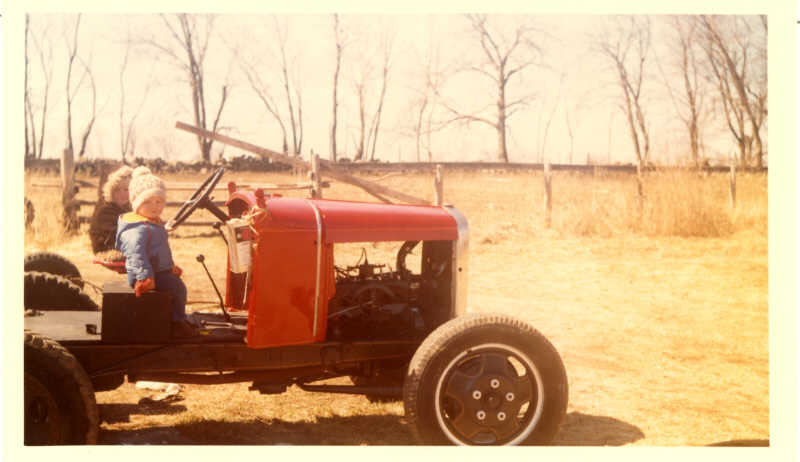 My father and his model A roadster. 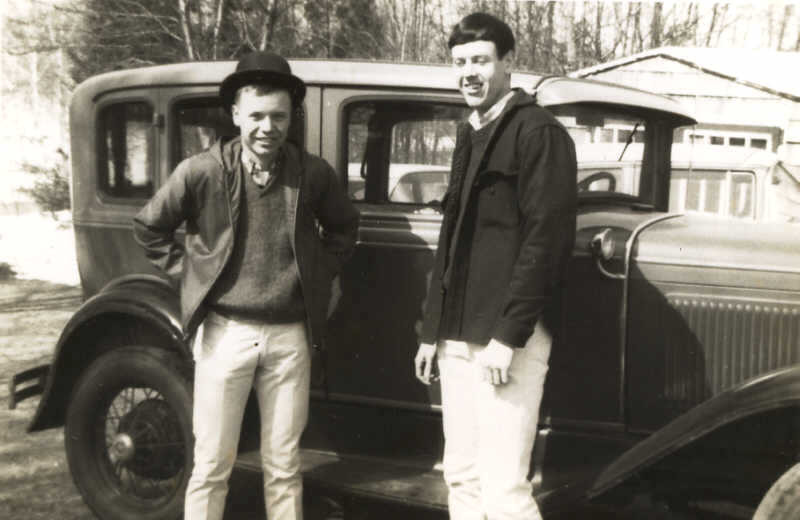 Jim and I when I lived in Oregon, 1966. 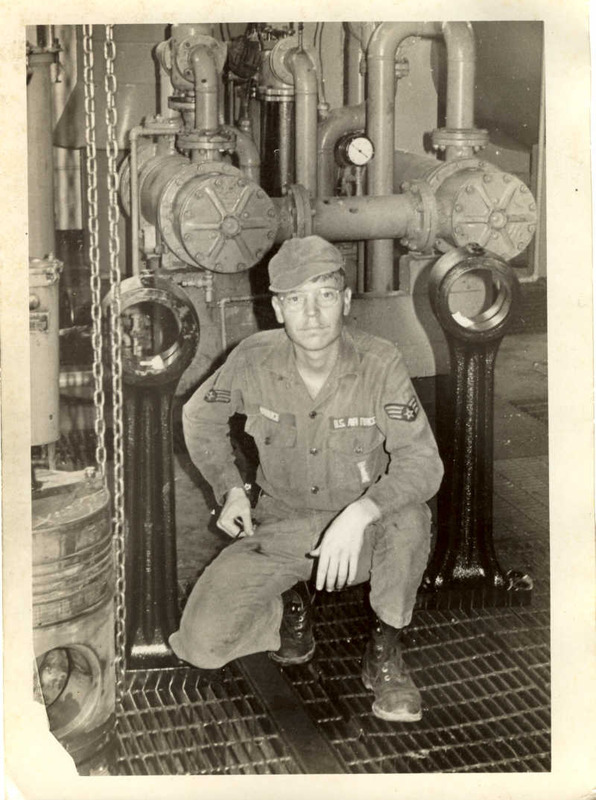 Me with some big engine parts while in the US Air Force in Libya, 1969. 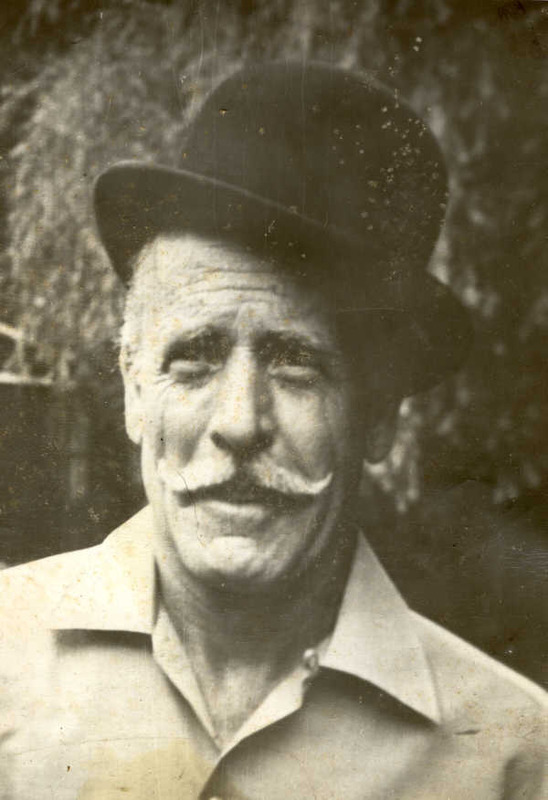 My father with his mustash he grew for the 300th anniversary of Wallingford. 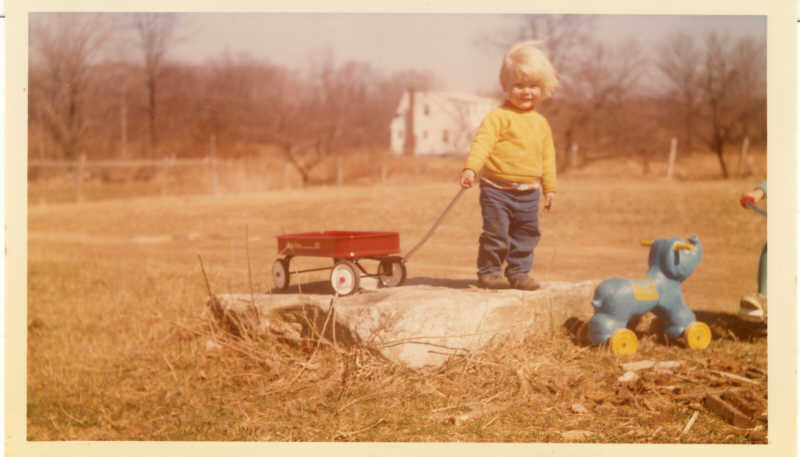 Richard and his wagon in 1978. 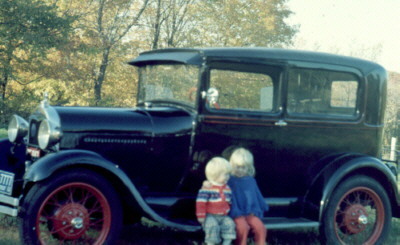 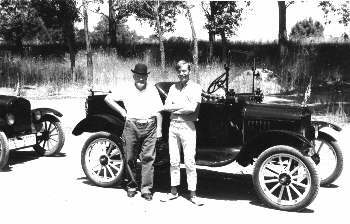 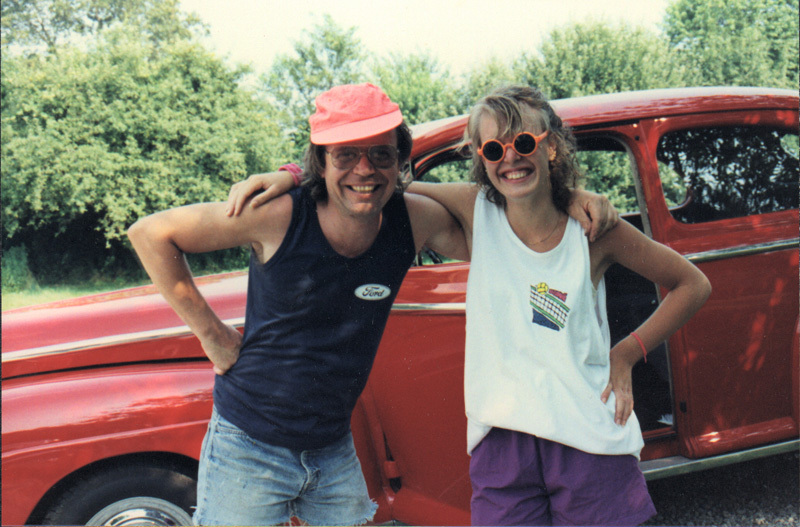 Richard and Erika with my 1929 Ford in 1978. 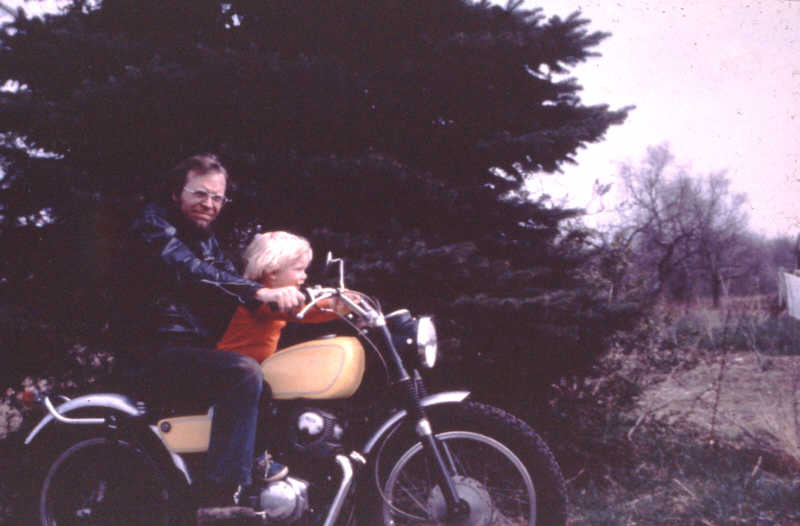 Me and Richard on my Honda 250, 1978. 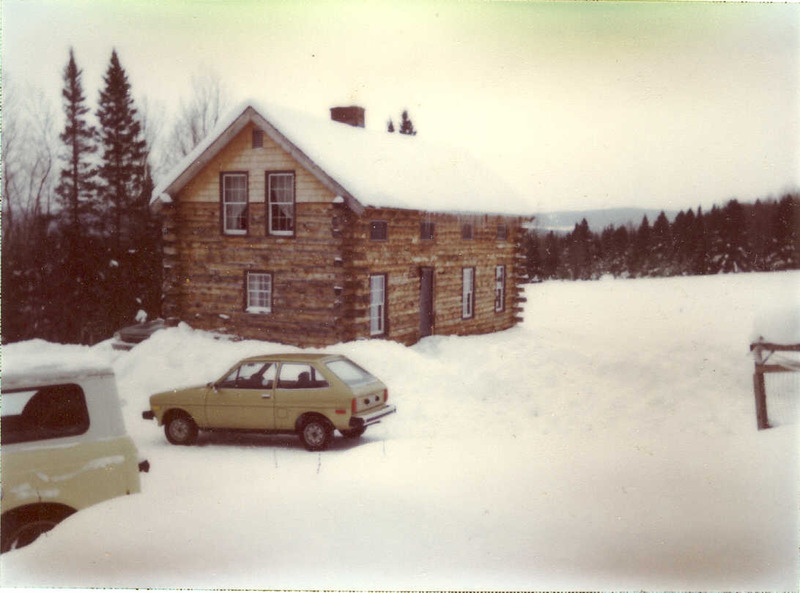 The cabin I built in Vermont in 1979. 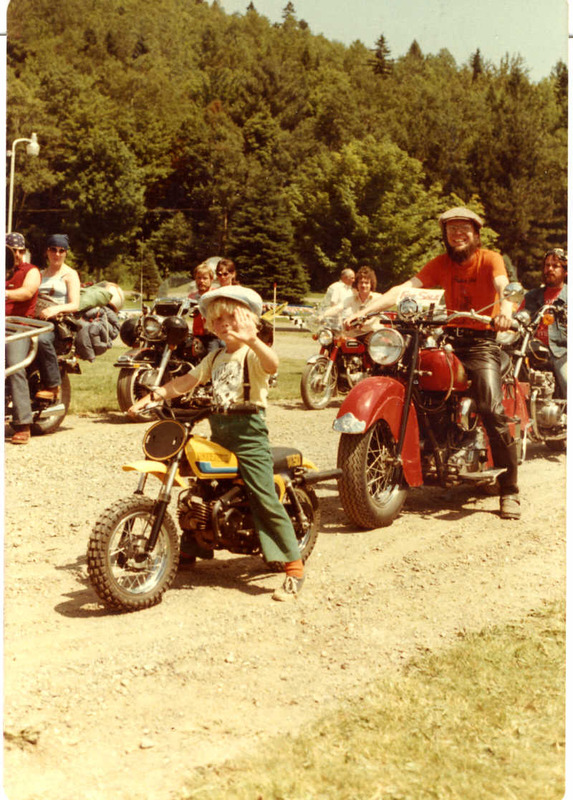 Richard and I at the blessing of the bikes 1981. 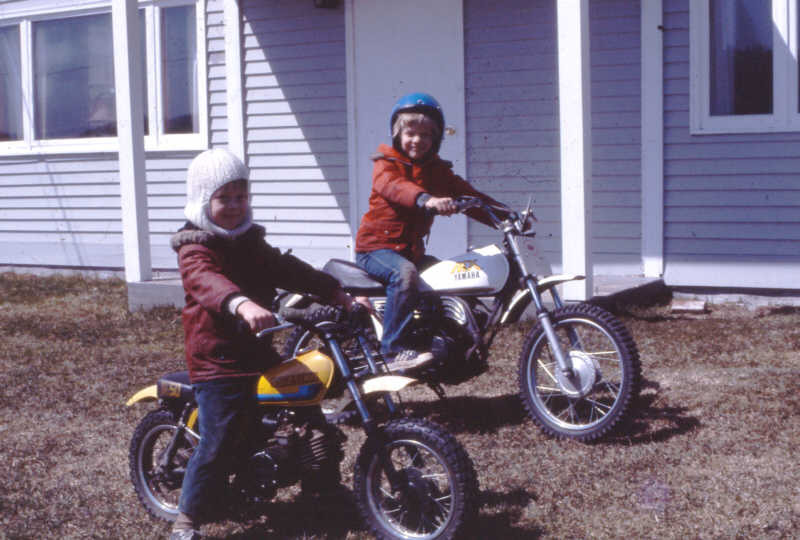 Luther and Richard riding motorcycles.